Create a unique paperweight as a gift or for yourself! This is fun session where students create a paperweight which is a solid glass piece and chose two colours and manipulate the glass using tools under the experienced tutor and glass artist Max Lamb. A course demo run each hour and three paperweight courses run per hour. Please book your time slot using the booking calendar above or contact SALT to book a course date. To create a paperweight takes approximately twenty minutes. SALT are running two sessions per hour. When booking SALT provide an approximate booking time but recommend that you arrive at least 5 minutes before your allotted time. 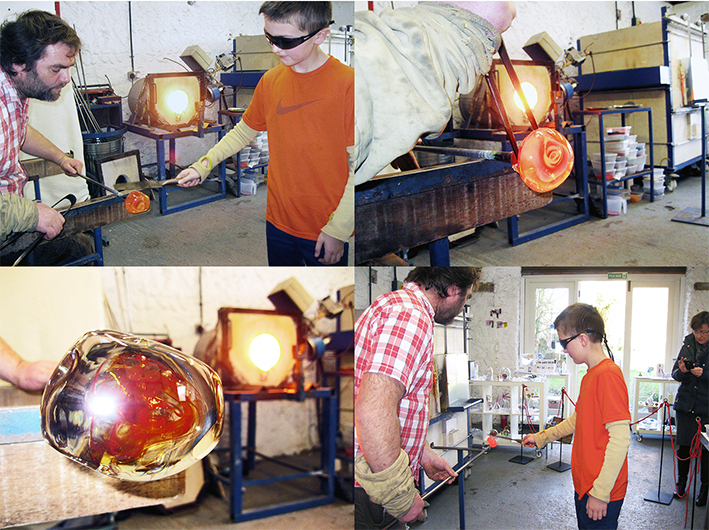 Working with molten glass was amazing the heat made it have its own life! It was awesome, great fun thank you! 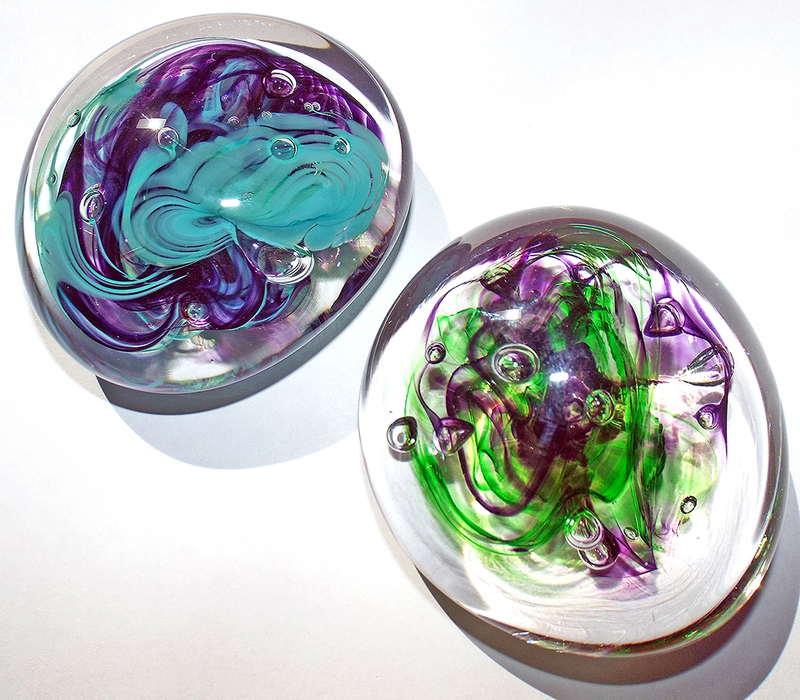 A great experience making paperweights and mixing colours. Booking course dates and times are subject to availability and may alter. The booking time is an approximate time and may be subject to change due to availability and the hand made glass-making processes which may run slighter over. We recommend you arrive on the hour to watch a demonstration or at least arrive 5 minutes before the booking time. Please see Terms & Conditions. Clink links Collection of Glass Work and P&P and Preparing for Courses for further course information.